Food, food everywhere and not a bite to eat. The basic premise is that people are starving to death in cities because they do not have access to nutritious food. Although these people have subsidies or assistance, the food they receive is highly processed. They live in cities where a fast food restaurant sits on every corner, but there are no grocery stores. I agree with their analysis of the problem, one that I have been talking about for a long time and preached more than one sermon about it. People are starving to death with food everywhere because we have created a system of incompetence. You read that correctly. 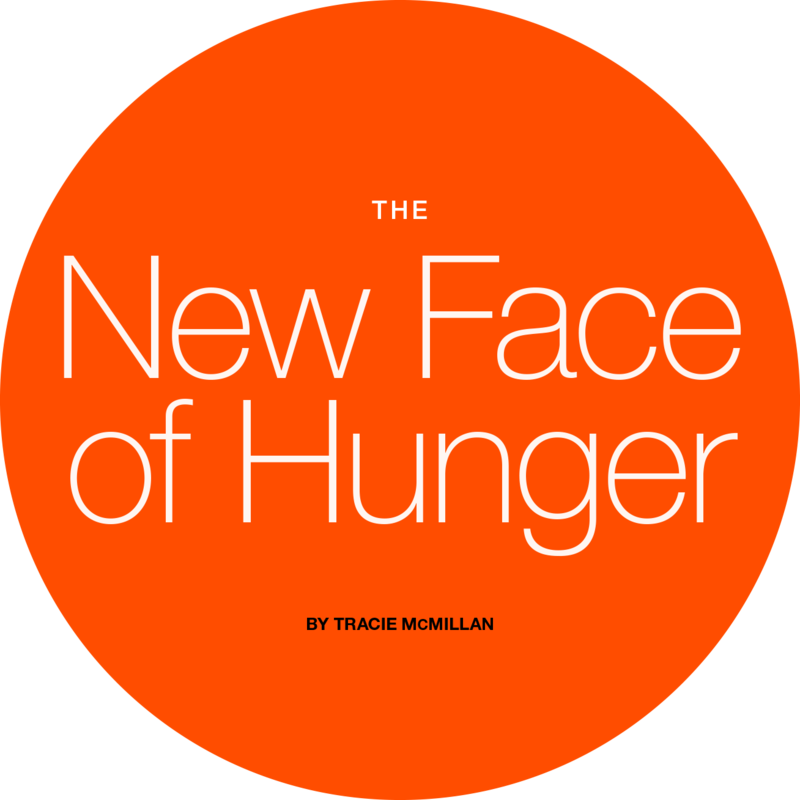 The problem of hunger is not primarily an economic one, it is an competency problem, and the longer I live the more I am convinced that incompetency will the end of our way of life. The solution to hunger must have a two handed approach, because the situation is serious and something must be done to fix the problem before it is too late. The bad news is that it will take at least one, and probably two generations to do it. 1. We must feed children. I don’t care what other problems are involved, we can’t let children be truly hungry. Therefore, programs for food through schools and weekend programs should be fully funded without political wrangling. However, these programs should also include two other aspects. One, instead of highly processed food perhaps we should use vegetables, fresh food, and local dairy. It will cost more to do this in the short run, but it will pay dividends in the long run with healthier children (and a healthy future) and a supported local agriculture. A second requirement should be the total, universal enforcement of culinary training at the high school level. We used to call this home ec, and we all made fun of it, but we were all taught how to scramble an egg, boil a noodle, peel a potato, make a salad, cut a chicken up to fry, and how to shop. These skills are almost absent in most children today and their parents, and that leads me to the second hand we have to use in solving our food problem. 2. Food subsidies should be increased in dollar amount, but limited to the purchase of ingredients for home cooked meals instead of whatever highly processed food is on the shelf. Flour, milk, eggs, noodles, lettuce, frozen veggies, raw meat, rice, vinegar, oil, butter, and so many other items are what I have in mind. It should be forbidden for these individuals to use government subsidies (SNAP, food stamps) for convenience store foods, burritos in a package, sugary cereals, heat-n-heat meals, or potato chips. I would even support increasing exponentially food subsidy amounts if purchases were made at farmers markets. These should likewise be given only as an adjunct to mandatory basic culinary classes. We have a competency problem in our country–people don’t know how to cook. What they often call cooking is really just microwaving. We would be a healthier, and more economically prosperous people if we would turn the television off and put down the iPhone long enough to spend the 25-30 minutes it takes to cook a meal at home from scratch. A pot of pinto beans can feed a family for two or three days, and it is cheaper than feeding one person supper at McDonalds (and that is if I put a little hamburger meat in it, peppers, tomatoes, onions, and some brown sugar to sweet the beans). The problem is that people don’t how to cook because they are never been told. It was an assumed skill, that can no longer be assumed. If we don’t fix this problem soon, increasing numbers of Americans will go to bed hungry, all the while surrounded by the greatest abundance the world has ever seen. BONUS–for an interesting article on SNAP purchases, read this article (click here). Make sure and read some of the comments as people completely miss the point. Under no circumstances should soda be a government subsidized purchase. I would add to #2 a provision in #1: Culinary training for all food subsidy recipients. It won’t make the problem disappear but it will help those who want help. i tend to agree jim. i don’t like the gov’t making people do stuff, but if they receive assistance, i have no problem asking them to help be a part of a long term solution. thanks for reading and commenting. Please make sure I’m clear on this – this should not be taken as I want kids to starve. If a parent or adult will not take care of a child; the child shouldn’t be in the person’s care. But people are capable of learning. People are at the basic level capable of saying “I don’t want this any longer” be it eating fast food or going hungry because they didn’t plan or being obese because their eating habits. It is a major contradiction that we have a huge obesity problem at the same time we have a ‘hunger’ problem. You are correct in saying that cooking is a learned behavior but at what point do we stop making excuses or rationalizations for people not learning? Yes, I understand people are conditioned by those around them; how people eat is a learned behavior. Yes, I understand people are limited by the establishments around them. But those restaurants didn’t pop up for no reason and they don’t stay in business losing money. People choose to eat that way. And it isn’t like there is a lack of resources on how to do things differently either; most of the people who are hungry / have bad eating habits either have internet capable phones, have it at home, access to it at libraries, etc. Should we continue to subsidize people’s bad decisions and if so for how long? Should we even be talking about making culinary skills mandatory — who are we to define what a person has to learn? Before we start solving the country’s problems; shouldn’t we talk about if we have a right to force our ideas and solutions on people? i understand with your overall mindset–let’s feed the children, but adults are on their own. however, our society will not do that, ever. so, my basic concept is since we are throwing a lot of money at hunger already (and apparently not doing much good) let’s at least make it smarter and tie it to some conditions that should help not only local agriculture (instead of nestle, kraft, and pepsi) but also families in general. but it also goes back to my basic premise–one of competency. we are becoming imbecilic–people can’t do basic human tasks necessary for survival anymore. i do feel we as a society have a responsibility to turn that trend around, if we can. thanks for reading and commenting, and, as always, for a reflective input.